Hi everyone! I hope you’ve enjoyed your weekend. I’ve been busy making a few changes to my kitchen and I’m excited to share them with you tomorrow (as well as a $100 Lowes giftcard giveaway)! Until then, let’s enjoy these amazing room reveals and tutorials. Thanks to everyone who linked up! Dining Room Reveal by The 36th Avenue. 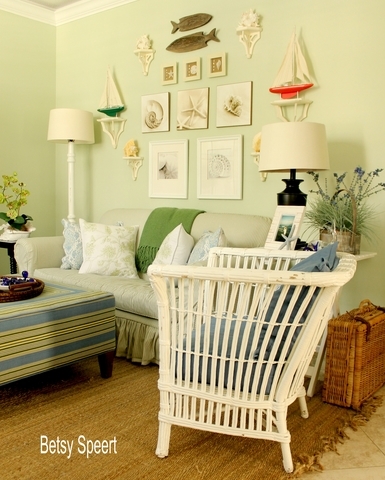 Beachy Living Room Reveal by Betsy Speert. 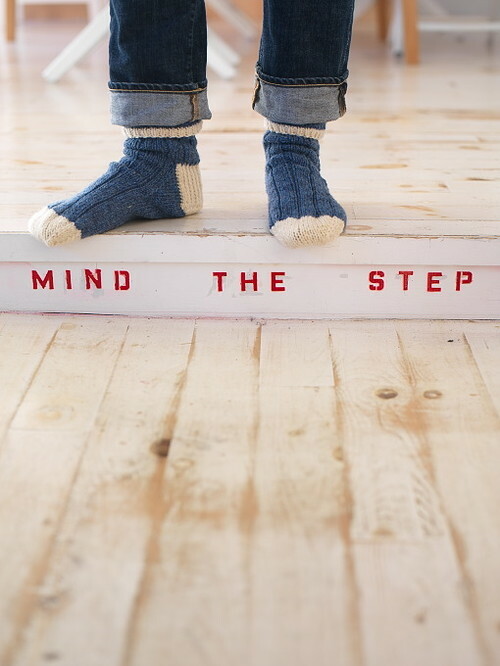 Newfoundland Cottage Tour via A Pop of Pretty. Preteen Bedroom Reveal by Cleverly Inspired. Concrete Planter Outdoor Bar by The Hunted Interior. 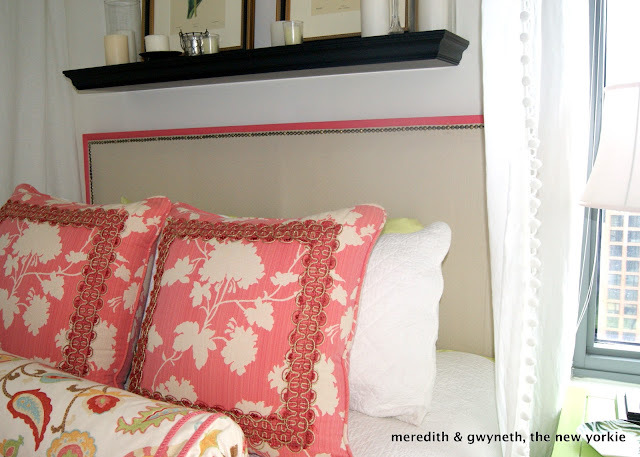 DIY Nailhead Trim Headboard by Meredith & Gwyneth the New Yorkie. 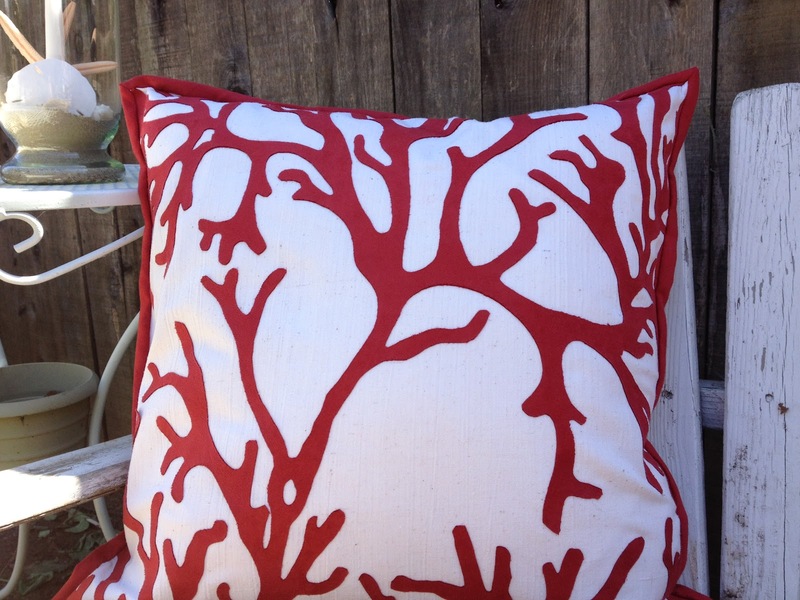 Pottery Barn Inspired Coral Pillow Tutorial by Sew Passionate. Spray Painted Curtains Tutorial by Life on Mars. Five Felt Flower Tutorials by The Crafted Sparrow. Felt Flower and Grapevine Wreath by Design, Dining, & Diapers. Great features this week Beth! Such talented ladies out there! Thanks for always hosting! Thanks so much for featuring me!!!! THANK YOU SO MUCH for featuring my Dining Room! …On my way to give a shout out on my FB page! Oh my goodness, thank you for featuring our headboard!! In such great company! Gwyneth and I wish our apartment had a step, so we could stencil it just like A Pop of Pretty did! Fabulous features, those room reveals are awesome. 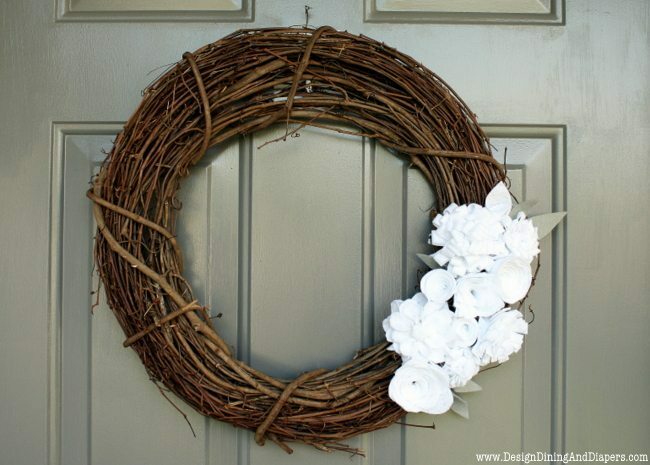 Thanks so much for including my wreath, Beth!